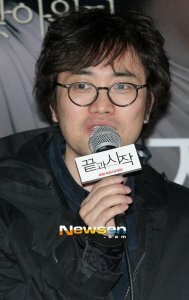 Min Gyoo-dong is the brother of Min Jin-soo. MIN was educated at the Korean Academy of Film Arts. Initially starting with short films, he made his breakthrough in 1997 when he was invited to the Pusan International Film Festival with his short "Free to Fly". After directing another short film, "Pale Blue Dot" (1998), he made his successful debut as a feature-length film director with < Memento Mori > (1999), co-directed with KIM Tae-yong.